I always wonder why Allah created us. Why did HE create this universe and all that’s in it? The answers to my questions were not found, until one day I realized the Truth. Allah created us to worship Him alone and He created this universe, the twinkling stars, the bright sun, the calm moon, the huge mountains, the deep seas and the vast lands for us, for HUMANS. All of this was created for humans, to see, to enjoy its beauty, and utilize it in the best possible way. All these creations of Allah are following a pattern. The sun does not forget to rise in the morning, the moon does not fail to bloom in the night sky, the stars do not forget to twinkle, the deep sea always rises then falls, and the earth does not fail to grow trees. When all of these creations of Allah are following a pattern commanded by Allah alone, then who are we to disobey His commands? Who are we to question Allah, His Wisdom and His creation? We are nothing, but a drop, so we should be most humble. All of the creation of Allah (the sun, the moon, the stars, the seas, the birds and the animals) stays within in their limits. For example, if the huge seas would not stay within their commanded borders at the seashores of the earth, we all would have been drowned and destroyed due to their strong currents and waves. Hence, the point to truly realize is that everything stays within its assigned limits. Only we humans do not stay in our limits. We constantly cross limits and transgress. We humans need to understand when all the vast creation of Allah is bowing down to HIM alone then why aren’t we bowing down to Allah as well? Why? 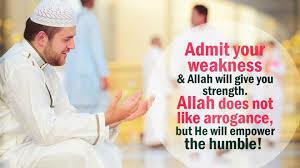 It’s because the arrogance within us is not allowing us to be humble and bow to HIM. If we were to remove this arrogance and pride from our hearts, we would only kneel down to HIM. All the creation of Allah, except humans, has no choice but to obey Him alone. In the case of humans, Allah has given us Akhal (understanding) to choose, to pick, so why aren’t we using this and reasoning well? 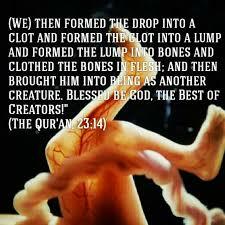 Why don’t we feel fortunate that we are the best creation of Allah? Allah elevated our level by commanding the Angels to bow down to Adam (A.S), a man. It is a great Honor Allah has given us, yet we reject this honor and humiliate ourselves. Even if we may have done infinite sins, but upon realizing asked sincere repentance, Allah is always Forgiving and Merciful. Do we deserve such honor? Though we may have ill-treated our parents then realized their importance and repented, Allah is most accepting of our repentance. 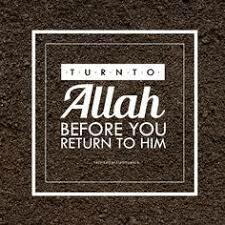 Allah always gives us many chances to come back to Him. We are the ones who don’t reflect on this creation and the numerous chances HE is giving us to come back to HIM. Yes, humans make mistakes, but our mistakes don’t define us and should not lead us into an ocean of darkness and despair. As soon as they make a mistake the soul of a Momin (true believer) tells it to repent and that’s a good sign. The soul of a disbeliever is corrupted so it does not make itself realize and repent over its mistakes, this is because of the great sins the disbeliever is immersed in. So how do we come back to Allah? Well, it’s simple. We belong to HIM and to HIM we shall return. 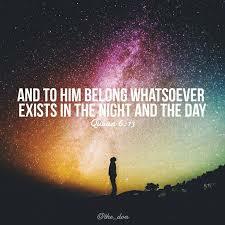 Hence its clear we always belong to Allah, he has created us in pure forms and sent us to earth to test us. Did you see a newborn baby? It’s completely pure, innocent, and calm. Therefore we all are born pure, but as we grow on earth, we don’t realize that we become corrupted. We have to understand, however, that if we came from Allah in a pure form then we must return to him in a pure form as well. If we don’t, then Allah rejects us. What does Allah mean by pure form? Pure means clean, without the stains of sin. We can attain this form by obeying His commands, by following his Prophets (AS), and by asking forgiveness before the doors of Taubah (Forgiveness) are closed. We are here, we are breathing, and we all have the opportunity to ask for forgiveness and return to HIM. We don’t have to worry about how large or how many sins we have, Allah forgives His sincere believers who promise to never return to the pool of sins. 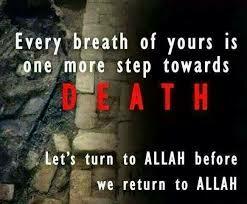 Repent and return to Him before it’s too late, before you breathe the last breath of your life. Don’t be like Firawn, who did nothing but reject Allah and His commands until death overtook him, and upon seeing the reality and error of his ways, wanted to repent and finally turn to Allah while he gasped for air whilst drowning, but found that it was far too late. It is in the pangs of death that the reality of the life of this world and the Hereafter become crystal clear. Our power to choose will be stripped of us, just as the sun has no choice but to rise, and the moon to bloom and the sea to rise and fall, we will all be forced to bow to this Reality in that most undeniable moment. We have to learn from this. These are not mere stories to entertain us. They are great lessons. We must turn to Allah before death approaches and takes us in its arms, before it’s much too late for us as well. All thanks and praises to Allah Alone who gave me the opportunity to write this article. Without Allah’s help this was impossible. This entry was posted in Diary of a Slave, Help Yourself, Inspirational and tagged adversity, Allah, angel, awake, believer, compassion, death, devout, elevate, firawn, God, heaven, hereafter, Islam, Muhammad (PBUH), Muslim, muslim men, muslim women, Muslims, peace, prayer, return to Allah, rise, sacrifice, steadfast, truth, wake up. Bookmark the permalink.